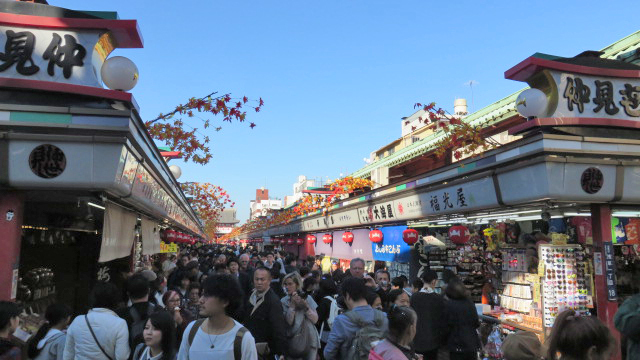 Famous sightseeing spot, Asakusa area !! 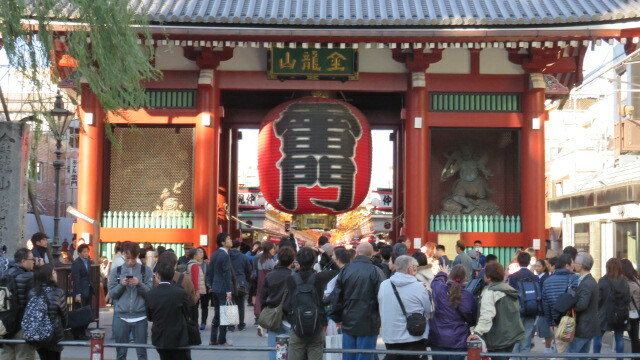 Asakusa is a well-known sightseeing spot in Tokyo, which is reminiscent of the old Japan .Kaminarimon or “Thunder Gate” is very famous as a landmark of its huge red lantern. On either side, there are two large statues, Fujin and Raijin or “Wind and Thunder deities. 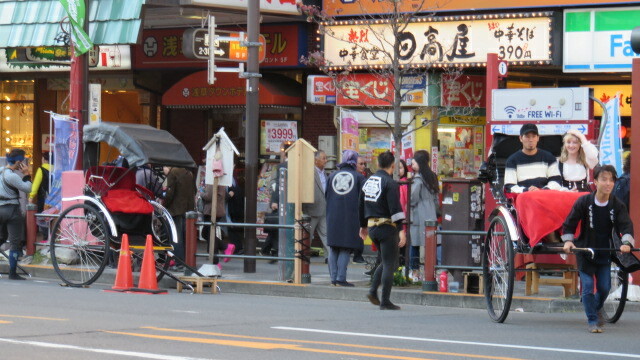 There is Nakamise Shppping Street between Kaminarimon and Sensoji Temple where we can buy lots of interesting souvenirs. 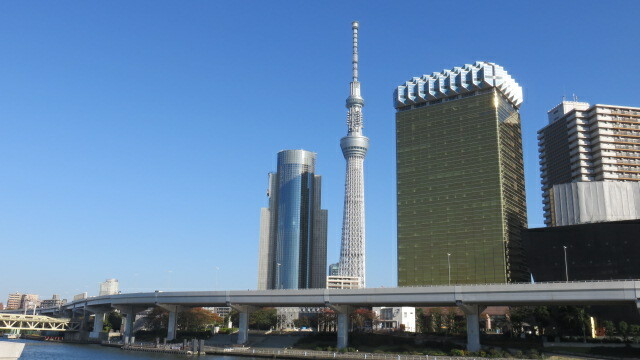 The Tokyo Skytree, the tallest tower in the world is 20 minute walk from the Kaminarimon. This entry was posted in Japanese Scenery by mikio. Bookmark the permalink.